The Western New York Book Arts Center promotes greater understanding of printing and book-related arts through education, creation, and exhibition for a broad and diverse community. The Western New York Book Arts Center features a letterpress and screenprinting studio, a gallery, a working museum, and a gift & art shop featuring work by members and local artists. WNYBAC is a 501(c)3 educational non-profit. Join us for Edible Book Fest! 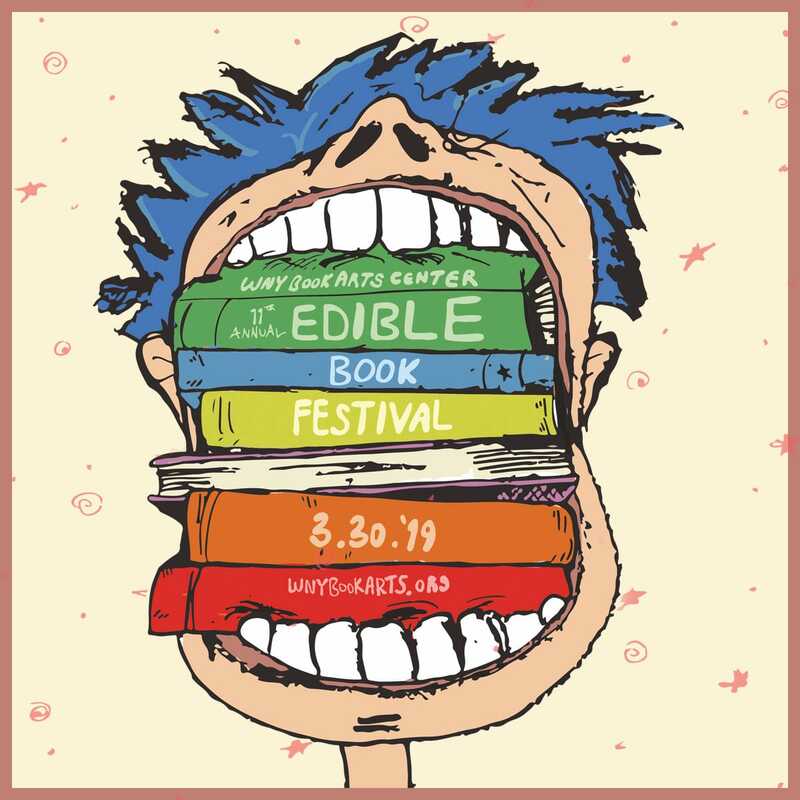 The international Edible Book Festival is a family-friendly event that takes place on or around April Fool’s Day (April 1st) throughout the world. This event invites participants to create edible books that are exhibited, documented, and then consumed. Creations are ranked by local celebrity judges and artist/chefs are awarded with prizes donated from local businesses. All proceeds from ticket sales, entry fees, and basket raffles go towards ongoing programming at the WNY Book Arts Center, a 501(c)3 non-profit organization. Julio Enrique Flores is currently on view in the gallery March 8 – April 13. FIND OUT MORE. For staff listing and emails, click here. For general inquiries, please use the info@wnybookarts.org email address.